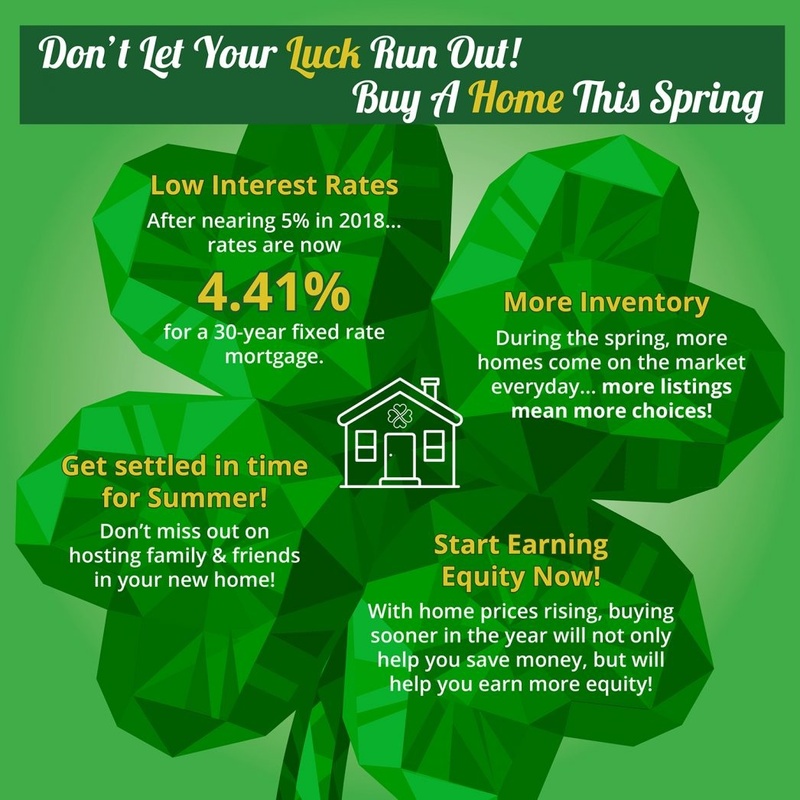 • Interest Rates for a 30-year fixed rate mortgage have dropped to 4.41% from near 5% in 2018. • Take advantage of more inventory coming to market in the spring to find your dream home! • Buying now will allow you to start earning equity today!